When TAP first engaged with MediaCom, the business was undergoing significant disruption including a change in ownership and brand. While the business was performing well, some loss of identity and focus was experienced during this time. The newly branded business had no clear purpose or strategy and the business structure was disjointed. Within the business, pockets of effective leadership existed, but there was no integrated leadership team overseeing the national business. As a result, there were high levels of employee disengagement and turnover. Managing Director Anne Parsons realised that creating increased alignment and focus throughout MediaCom was needed in order to retain the business’ market leadership position. Our first priority was to establish a national EXCO to provide overall strategic leadership. We then worked with this team to establish a clear set of aspirations for the business. 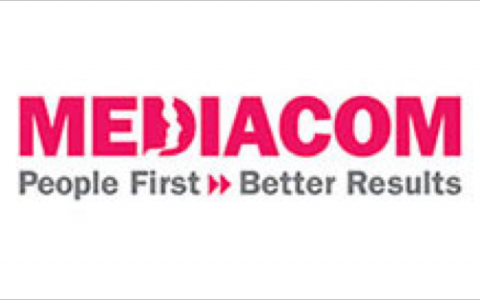 A key decision was to pursue a strategy of “Thought Leadership” given that a strategy of operational efficiency or customer intimacy alone would not support MediaCom’s newly ambitious growth aspirations. A balanced Scorecard was also developed and implemented, supported by a disciplined cadence of measurement and review. Having reached agreement on not only the desired future state, but also on a clear starting point, we focused on enhancing leadership effectiveness. 360 degree assessment tools and intense coaching processes were applied; first at EXCO and then with EXCO’s direct reports. Shared standards of leadership behaviour were agreed and performance against these standards was measured regularly. Our focus then shifted to creating and sharing a compelling story of the future via engagement forums across the country to create alignment between individual goals and the organisation’s aspirations. We reinforced this work through systems alignment; ensuring that employee goals aligned to broader strategic objectives. Structural simplification was undertaken, and centres of excellence were created to inject functional expertise into typical account management structures. Finally, we pursued symbols alignment by ensuring congruence between the aspirations and how leaders spent their time and money. In challenging conditions, and in a mature business, MediaCom have continued to grow by double digits annually, being at the forefront of performance benchmarks amongst MediaCom Agencies worldwide. MediaCom Melbourne has been named AdNews Agency of the year multiple times. Client surveys have reflected improvements in the quality of client outcomes across all markets and media owners pro-actively recommend the professionalism and standards of Mediacom. In an industry with high entrenched staff turnover and low loyalty, employee retention improved from 66%-88%. There are also numerous indications that this trend will strengthen. At the last measure of leadership impact, significant improvement was achieved for both the national EXCO as well as the large and diverse leadership group who report to them. Anne Parsons explains that there is “much more of a desire and enthusiasm to collaborate”, resulting in cross fertilisation of ideas across disciplines and an ever improving quality in the work that is produced. This is most in evidence in the EXCO, where a renewed energy and commitment to ongoing excellence has seen leaders stretch their own expectations of what is possible. According to Anne, this inherent “raising of the bar” is all the leverage needed for MediaCom to deliver even greater success in the years ahead.